This article is about the Didact responsible for activating the Halo Array. For the Didact encountered in Halo 4, see Ur-Didact. "You are what you dare." — A phrase summarizing both Bornstellar's and the Didact's philosophy towards life. The IsoDidact, also known simply as the Didact or more specifically as the Bornstellar Didact, was an alternate incarnation of the Forerunner Promethean supreme commander known as the Didact. Originally a young Manipular known as Bornstellar Makes Eternal Lasting or simply Bornstellar, he was transformed into a "copy" of the Didact after being imprinted with the latter's consciousness and memories, taking on the original Didact's identity and role of supreme commander of Forerunner war efforts against the Flood in the ongoing Forerunner-Flood war. The IsoDidact intended to serve as a replacement for the Didact, who was at the time believed to have been executed by Master Builder Faber. The "IsoDidact" moniker was adopted to differentiate the copy from the original Didact, who was subsequently identified as the Ur-Didact. The Ur-Didact's madness-induced actions near the end of the war led to his imprisonment for the next 100,000 years, leaving the IsoDidact to lead the Warrior-Servants for the final days of the war. He was also the individual responsible for activating the Halo Array at the close of the Flood conflict. Following the firing of the Array, the IsoDidact gradually distanced himself from his Didact persona, being more frequently referred to as Bornstellar-Makes-Eternal-Lasting once again. "Bornstellar is marked to become a great Builder, just like his father — but this Manipular has other plans." Bornstellar's family and ancestors came from a long line of Builders, the highest and most powerful rate in Forerunner society. Of all his father's children, Bornstellar was the most rebellious, refusing to follow in his footsteps and become a Builder. As a result of this, his father sent him to learn discipline in a step family of Miners on Edom in the distant Sol system. There, his ancilla taught him of the near-mythical Precursors. Three years later, Bornstellar sneaked aboard a supply transport and traveled to Erde-Tyrene to hunt for Precursor relics. In the city of Marontik, he met two humans, Chakas and Riser, who would serve as guides in his search for Precursor artifacts. His guides led him to Djamonkin Crater, where he found and opened a Cryptum belonging to the Didact. Upon finding the Cryptum and the phrase "You are what you dare" inscribed on the artifact, Bornstellar strongly felt upon him the influence of a synchron. After he had recovered, the Didact took Bornstellar and the two humans with him on a ship grown on-site from a design seed planted by the Librarian. During his subsequent travels with Bornstellar, the Didact performed a brevet mutation on him to allow him access to the Domain; in addition, the Didact imprinted Bornstellar with his consciousness, along with his memories and knowledge, potentially allowing Bornstellar to continue the Didact's work in the event he were captured or killed. After being captured by the Master Builder on the San'Shyuum world Janjur Qom, Bornstellar was shipped back to his family. Not long after, his presence was requested at the trial of the Master Builder in the Capital. The trial was interrupted by an attack by the rampant Mendicant Bias. During the battle, the Didact's personality took control of Bornstellar, allowing him to escape the AI's control and maneuver an escape pod amidst the chaos and successfully escape to the greater Ark[note 2] along with Glory of a Far Dawn and Splendid Dust of Ancient Suns. IsoDidact: "The Didact provided the template for my maturity. I am now all that remains of him, and so I serve in his place." IsoDidact: "No more, except in my dreams." — Chakas recognizes Bornstellar during their reunion on Installation 07. After surviving the assault on the Capital, Bornstellar arrived on the greater Ark, where he met with the Librarian, who revealed that Didact had been executed at the hands of the Master Builder. 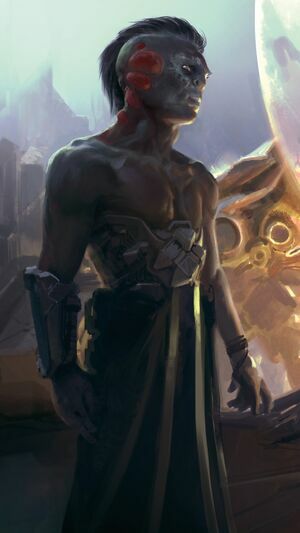 As the Didact's expertise was necessary to combat the increasing threat of the Flood, the Promethean's personality completely overtook Bornstellar's physical body, making him a reincarnation of the Didact; he stated that he would return control to Bornstellar when his mission was finished. Intent on finding Chakas and Riser, as well as stopping Mendicant Bias, the IsoDidact tracked down Installation 07, the rogue Halo under the command of Mendicant Bias and the Primordial, the entity previously imprisoned on Charum Hakkor which had since been released and was responsible for subverting Mendicant Bias. His fleet intercepted the Halo ring, on a pre-determined collision course with a planet in a distant system. He deactivated Mendicant Bias using his control codes and proceeded to save the Halo and its research data on the Flood. Arriving in the Halo's Cartographer, one of the facilities employed as control stations for the ring, the IsoDidact found Chakas and many more humans who had been connected to the ring's control interface by Mendicant Bias in an attempt to steer the installation. The IsoDidact joined Chakas in the controls and the two successfully directed the Halo's passage over the planet. At the IsoDidact's order, the damaged Halo was reduced, shedding most of its damaged sections and contracting to a diameter of 10,000 kilometers before being transported to the greater Ark. The Flood presence was contained and both Mendicant Bias and the Primordial were placed in captivity. Chakas had been mortally wounded during the events on Installation 07, and although his physical body could not be saved, the IsoDidact decided to preserve his consciousness in the form of a monitor who would be tasked with watching over the Librarian's human specimens at the Ark. While the conversion process was still underway, the IsoDidact took Chakas with him as he interrogated the Primordial, imprisoned deep beneath Installation 07. Over the course of the exchange, the entity revealed the true nature of the relationship between the Precursors, the Flood as well as the Forerunners and humans, stating that the Forerunners were never meant to inherit the Mantle and that there was no cure for the Flood. Furious, the IsoDidact then executed the creature by fully activating its slipspace stasis chamber, forcing it to live through a billion years in complete sensory isolation and causing it to decay to a state of total physical entropy. 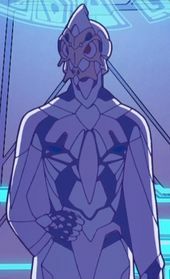 Following his temporary victory, the IsoDidact's power rose as he returned to the favor of the New Council, also elevating the status of his wife. The debate on the Didact's plans for strategic solutions against the Flood was restored and the use of the Halos was delayed for a time. However, this victory did not last long. The following years saw the Flood ravaging the ecumene at an increasing virulence, leading the Forerunners - including the IsoDidact himself - to begin reconsidering the use of the Halos. In the coming years, the IsoDidact would travel with the Librarian's fleet, ensuring the security of the Lifeworkers' continued efforts to preserve sentient life across the galaxy. The many worlds they visited included Erde-Tyrene, whose evacuation the IsoDidact and the Librarian arrived to oversee personally. The two were also to give their testimonies to Catalog on matters concerning the attack on the Capital, but were interrupted by the Flood's arrival in the sector. The emergency prompted the IsoDidact to depart to the core of the ecumene, as Forerunner forces in the region were insufficient to mount an effective counterattack. After a brief moment together, he parted ways with the Librarian, not to see her again in four years. The IsoDidact went on to assume command of Orion Complex Defense Operations, leading combined forces reconstituted from both Warrior-Servants and Builder Security. During the war, the IsoDidact regularly exchanged transmissions with the Librarian and was constantly trying to convince her to give up on her mission to save other sentient life from the Halo Array's inevitable activation, and return to him to safety inside the Maginot Line. After it was learned that the original Didact - now identified as the Ur-Didact - was still alive and had been returned to the ecumene, a reunion was arranged between the two Didacts and the Librarian on Nomdagro. During the ensuing conversation, it was evident that the Ur-Didact was no longer the same individual who had imprinted Bornstellar. Driven to insanity by the Gravemind, the Ur-Didact expressed views which appalled both his copy and the Librarian, declaring that the Mantle was to be seized by force and that his wife sympathized with the Flood by favoring humans. The meeting quickly turned sour and the Ur-Didact departed to the other side of Nomdagro. The IsoDidact followed his original and found him brooding near the planet's only Precursor artifact. The differences between the original and the IsoDidact became all the more apparent as the Ur-Didact began to accuse his copy for being only a faulty version of himself, as he had abandoned his fierce opposition of the Halos and now recognized the possibility of firing the rings as a last resort. Just as the confrontation was about to turn physical, the nearby Precursor artifact began to signal the imminent arrival of the Flood. The common threat prompted both Didacts to leave in their own ships and they rocketed into orbit while the Flood deployed millions of spore capsules in Nomdagro's atmosphere. The IsoDidact joined the Librarian aboard her ship, Audacity and sped toward the greater Ark while the Ur-Didact followed on the Mantle's Approach. Forced to perform an emergency jump due to the transit of Precursor constructs disrupting slipspace in the region, the Audacity eventually reached the greater Ark. The Orion complex having fallen to the Flood, the Ark was now home to the remains of the ecumene. An emergency conference was arranged among the Forerunner commanders present in preparation for an inevitable Flood attack on the greater Ark; the Ur-Didact did not attend, instead remaining aboard the Mantle's Approach. An argument ensued between the IsoDidact and the other commanders, who asserted that now that the original Didact had returned, the IsoDidact was no longer necessary. However, the IsoDidact found an unexpected ally in the Master Builder, who convinced the others that the Ur-Didact was no longer fit to lead the Forerunner military, with the Gravemind using the Ur-Didact as a tool to cause strife within the ecumene, sending him back with a message taunting the Master Builder about his wives and children having been incorporated into a Gravemind. Not long after, this was proven true as the Ur-Didact unexpectedly used a Composer to forcibly harvest the essences of the entire human population of the nearby Omega Halo before fleeing and deserting the Forerunners. As the Flood - under command of the reconstituted Mendicant Bias - and vast numbers of star roads approached the Ark, plans were laid for its defense and evacuation. The IsoDidact, the Examiner, Bitterness-of-the-Vanquished, and Faber traveled to Omega Halo, which would be used to clear a path for escaping ships through the star roads, which formed themselves into an impregnable wall around the Ark. At the Halo's control center, the Master Builder gave the coordinates of the secret Installation 00 to the IsoDidact while intending to stay behind himself. Faber then fired Omega Halo, creating a momentary corridor through the star roads. However, the remaining Precursor artifacts continued to converge on Omega Halo and the Ark and soon began to tear both installations apart. As the control room collapsed, the IsoDidact and the other commanders began to plummet to their deaths. At the face of seemingly inevitable death, the Didact's imprint was momentarily shunted aside and Bornstellar's personality surfaced once more before he lost consciousness. However, the IsoDidact was saved by his old friend Monitor Chakas, who took him aboard a Gargantua-class transport which successfully escaped the Ark. The IsoDidact and a handful of other survivors used Faber's personal slipspace portal to travel to the lesser Ark, where they would prepare to fire the Forerunners' last resort: the final Halo Array, which would sterilize the galaxy of sentient life, thus halting the Flood. "Now, old friend, we have the most important job in history–perhaps in all time. You may very well outlast all of us here. You may see the new galaxy emerge. Tell me, Chakas, if this was your choice, after all we have seen and survived... would you fire the rings?" — The IsoDidact queries 343 Guilty Spark about the Halo Array before the activation, only to be met by silence. At Installation 00, the IsoDidact and the other surviving Forerunners began immediate preparations for the activation of the Halo Array. Before the Array's distribution across the galaxy, the IsoDidact assigned the monitors for each installation and gave them their new names. In his last exchange with Chakas, the Didact designated him as 343 Guilty Spark and assigned him as the caretaker of Installation 04. After the Halos had been deployed, the IsoDidact operated from the Ark's Citadel to complete preparations for the coming activation. The metarch Offensive Bias, commanding the remains of the Forerunner fleet, was sent to stall Mendicant Bias and its approaching fleet to prevent them from reaching the Ark before the Halos could fire. In the final moments before the activation, the Didact exchanged a few last messages with the Librarian, who had willingly stranded herself on Earth to draw the Flood there, buying the IsoDidact time to fire the Halos. The IsoDidact intended to retrieve the Librarian before he would be forced to light the rings and prepared a rescue party for her. However, before they could depart, Mendicant Bias' fleet breached the Maginot Line and destroyed the rescue party. Asking for forgiveness, the IsoDidact then reluctantly activated the seven rings, sterilizing the galaxy of life capable of sustaining the Flood and starving the parasite to death. Having been on the Ark and thus out of Halo Array's range, the IsoDidact was among the few Forerunners who survived the galactic extinction. After Mendicant Bias' defeat at the hands of Offensive Bias, the IsoDidact presided over the trial of Mendicant for its betrayal of the ecumene. The IsoDidact decided to keep Bias alive as it had intimate knowledge of the Flood and could be called upon in case of their return. He had Bias entombed in Installation 00 with only one thought allowed to the AI: atonement. Before the sentencing, the IsoDidact paid a visit to Riser's village on the Ark to invite him to join the ceremony. Riser rebuked him about his decision to fire the Halos, but the IsoDidact maintained that it had been the only option possible. At Riser's suggestion, the IsoDidact and several other Forerunners joined a human celebration for the transition the galaxy now faced. He and the new Lifeshaper Chant-to-Green observed the festivities from some distance away, both acknowledging the significance of Bornstellar's human friends. He accompanied Chant on Earth during the reintroduction and shared a few last words with Riser. The IsoDidact stated that the Forerunners would cease their participation in the affairs of the galaxy and exile themselves, although they both hoped that their descendants would meet each other some day. Riser responded by hoping their descendants would reunite and act like brothers, making trouble and finding strength together. Deeply moved, Bornstellar could only utter the word "hope" before returning to the Lifeworker ship and taking off. "A trial was to be held here. It was interrupted by your creation, Didact. You will face trial. You have failed the Mantle. Behold what you have wrought." — Abaddon addressing the IsoDidact. After leaving Erde-Tyrene, Bornstellar and the surviving Forerunners, who had discarded their titles, turned to the task of reseeding the rest of the species on their homeworlds. This task took several centuries to accomplish. During this time, Bornstellar engaged in a relationship with Chant-to-Green based on their mutual mourning over the loss of the Librarian. As the Forerunners completed their task with the San'Shyuum, Bornstellar recalled a final message that he had received from the Librarian prior to her death. In this message, the Librarian explained that she believed that the Domain was not truly destroyed, and that it could be recovered. She exhorted Bornstellar and Chant-to-Green to return to Maethrillian, the Forerunner capital, to find the mythological Organon, which was revealed to have been known to the highest levels of leadership in the Ecumene Council, and repair it. Bornstellar appealed to the remaining Forerunners to complete this final task before leaving on their exile, and, despite initial hesitation with the plan, was joined in his expedition to the capital. At the capital, the Forerunners were confronted by a Precursor entity known as Abaddon, who sought to judge the IsoDidact and the others for their crimes against the Mantle. However, the IsoDidact and several others managed to evade Abaddon, with Growth-Through-Trial-of-Change eventually sacrificing herself to restore the Domain. With their work finished, Bornstellar and the other remaining Forerunners exiled themselves outside the Milky Way galaxy. Bornstellar reconciled his relationship with Chant-to-Green and the two were married. Settling on a distant world and giving up their advanced technology in favor of a simple, primitive lifestyle, the pair eventually had a son together. Over 100,000 years later, a record referred to as the "Bornstellar Relation", containing an archived testimony of the IsoDidact recorded by Catalog, was discovered by the UNSC on Trevelyan and served as one of the core documents in ONI's research into the Forerunners. 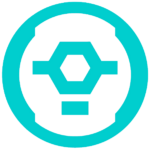 A glyph representing the IsoDidact. "You can't fault this new Didact. I outwitted his original twice before, you know. I forced him into exile, practically sealed him into his Cryptum, and when he returned from that exile, I lured him, hooked him like a silly fish-and sent him to an even darker fate. I ask you, who's the greater strategist? If anything, this new Didact is a sharper and more capable character, certainly now." — Faber, the Master Builder, assesses the IsoDidact. Bornstellar was young, inexperienced, and was close to the age of becoming an independent member of society. However, despite his noble class, he was quite rebellious in nature, even to the point of defying the history and trade of his family as Builders. Because of this, Bornstellar had become increasingly interested in the Precursors, an ancient race of "transsentient" beings far predating his own people. After being transformed into the IsoDidact, Bornstellar's personality changed almost completely to reflect that of the Promethean commander, although in certain respects he remained as his own individual. By the time of the Librarian's testimony to Catalog, he only possessed a third of the active memory of the Ur-Didact, although this may have changed later on with the further integration of his imprint. He could, in a sense, be considered an ideal version of the Didact, possessing his intellect and capabilities but lacking the historical pressures and the immediate factors which eventually caused the original Didact to lose his sanity. After the fall of the greater Ark and the resurfacing of his Bornstellar persona during Omega Halo's destruction, the IsoDidact appears to have transitioned toward a more integrated composite of his two identities; for example, when queried by Riser whether it was the Didact's "spirit" that forced his hand to fire the Halos, Bornstellar denied this and took full responsibility himself. Additionally, the resurfacing of Bornstellar and his discarding of his identity as the IsoDidact may have been because the Didact's imprint did as he once stated he would and returned control to Bornstellar fully once he was no longer needed. By a century after the firing of the Halo Array, he went by Bornstellar Makes Eternal Lasting again and considered himself a separate entity from the IsoDidact, displaying much of Bornstellar's original personality but with a greater maturity and still retaining the knowledge of the Didact. At the time Bornstellar led the mission to Maethrillian and almost lost Chant-to-Green to Abaddon, he considered himself more than Bornstellar and more than the Didact, but an third amalgam of the two. The IsoDidact was often forced to face doubts as to his capability in comparison to the Ur-Didact, in particular after the latter's return. This greatly upset him, as in his own mind, the IsoDidact genuinely felt that he was the Didact, while Bornstellar had become a distant and entirely separate identity. Like his original, the IsoDidact rarely showed any fear, although he openly admitted to being afraid to confront the Primordial, due to what it represented and the potential implications it may have had on his deepest-held beliefs. The subsequent revelations shook him to the point that he was unable to contain his fury and executed the creature out of anger. However, traces of Bornstellar's personality influenced some of his attitudes; for example, he was more tolerant of humans than the Ur-Didact, perhaps as a result of his experiences with Chakas and Riser. By the point the Bornstellar Didact reunited with the two, he clearly showed sympathy and compassion for them; he treated Chakas and the other humans gently, expressing condolence for everything they had been forced to go through and made an effort to save as many of the Halo's human specimens as possible. As an additional act of sentimentality, he allowed Chakas to continue his existence as a machine even though the human's biological form could not be saved. Later on, the differences between him and the original Didact became much more pronounced, not only because of Bornstellar's personality acting in the background but due to the very different experiences the two had gone through. The divergence of the two Didacts soon became a source of adversity between the two, most prominently due to their difference of opinion in regard to the Halos; later, the Ur-Didact's composition of Omega Halo's human population and his subsequent abandonment of the Forerunners prompted the IsoDidact to consider his original a traitor. Physically, like other Manipulars, Bornstellar bore a moderate but noticeable resemblance to humanity than he did to other Forerunner forms, such as a Second or Third-Form. He possessed a thin, pale fuzz over much of his body, such as his arms, along with the partially-furred body and hair that was a notable feature of his kind. After his brevet mutation at the hands of the Didact, he began to resemble those of the Warrior-Servant caste than he did of the Builders, with grayish-white skin, thicker, a more muscular physique, and harsher facial features. Even with these characteristics, he still bore traces of the Builder caste, resulting in him possessing a blend of physical features of both; however, his physique continued to mutate further over time, and he eventually came to resemble the original Didact very closely, aside from being conspicuously younger. After adopting the role of the Didact, he also donned the mottled blue-gray armor of a fully mature Promethean, with an inner hard light shell forming a series of blue-lit lines between the armor plates. Check out our collection of quotes related to IsoDidact in its quotes page. French Full name: Novelastre Faiseur d'Éternité. After mutation: Le Didacte Novelastre and L'Isodidacte. Bornstellar is the main protagonist of the Greg Bear novel Halo: Cryptum, the first of three novels in The Forerunner Saga, transforming into the IsoDidact over the course of the novel. He is not referred to as the IsoDidact or Bornstellar Didact until Halo: Silentium; in the preceding novels, he is only addressed either as the Didact or Bornstellar. The Greek prefix "iso-" means "equal"; for example, isotopes are variants of an element that have the same number of protons and electrons but vary in their neutron counts. The IsoDidact's title alludes to the Didact's simultaneous existence in two separate bodies: both incarnations share the Didact's essence, yet they eventually diverge into drastically different individuals. Cortana's interpretation of the IsoDidact. ↑ It is stated in Halo: Cryptum (p. 225) that Bornstellar was "barely twelve" years old at the time the novel is set. The Halo Array was fired in 97,445 BCE, but the events of Halo: Cryptum take place at least seven years before this based on an approximate chronology that can be derived from statements in Halo: Silentium (see 97,445 BCE). Assuming the events of Halo: Cryptum took place in 97,452 BCE (no more than seven years before the firing of the Halo Array) Bornstellar would have been born approximately twelve years prior to that year. 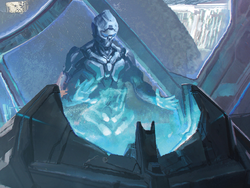 ↑ Since the pictured Forerunner individual is shown activating the Halo Array in Origins, it can be inferred that this is Cortana's imagination of the IsoDidact. However, as stated by Frank O'Connor in the episode commentary, the visuals shown in Origins are not entirely accurate as a result of Cortana's incomplete data stores and her progressing rampancy. The Didact's depiction in Origins has only five fingers per hand; canonically, both Didacts had six fingers on each hand. His armor most closely resembles the first set of armor the Ur-Didact is shown wearing in the Halo 4 terminals. As an additional discrepancy, the individual in Origins is seen activating the Array from a Halo installation's control room, accompanied by two other Forerunners, whereas the IsoDidact fired the rings from Installation 00's citadel. ↑ 6.0 6.1 6.2 6.3 6.4 Halo: Fractures, "Promises to Keep"